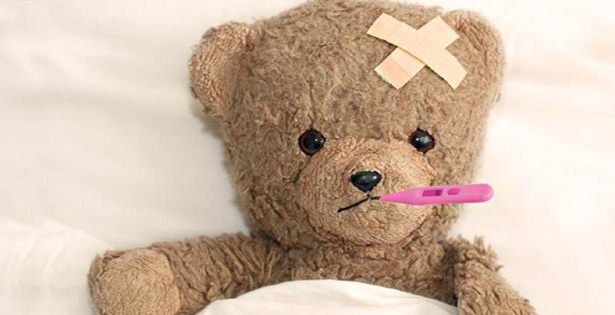 This teddy bear is undergoing recovery after an illness, much like you may be. Shout out to Aqui (wink wink). Pixabay, CC0 License. It happens to us all, we get sick, it’s part of the human condition that is ever in a state of flux. No, we don’t tend to like it too much, and, of course, we don’t have to surrender to always be this way. In fact, for many of us, a guiding force is getting well again. But there are some important things to remember when we are on our journey to recovery. Keep reading to find out what they are. A major problem for folks that are in recovery whether it’s from physical illness or a mental issue is that they look at their situation and focus on how they use to be. This is of course very understandable. Getting ill or having an accident can be quite a shock to the system and it can play havoc with the self we used to identify with. But part of recovery is accepting that something has happened that limits your wellness in some way and that you will need to do things to get well again. The essence of this is that you have to work with where you are right now, not with the memory of where you used to be. As this can stunt and limit your progress instead of helping you move forward. This is an important part of getting well again. It is completely reasonable to have set goals to work to as long as they are realistic. But don’t be afraid to try something new if what you are doing doesn’t seem to be working. You’re not on your own when it comes to regaining your health. Professional mental and physical therapy services are available. Pexels, CC0 License. Remember there are all sorts of mental and physical therapy services out there. Run by trained professionals that have likely come across the issue that you are facing before. So you don’t have to do everything all on your own. You can enlist their support and facilities to help you make the progress that you need. Another factor that is key is making a recovery from an illness is patience. Yes, this is hard because you want to be back to normal as soon as possible. Unfortunately, the real world doesn’t work like this, and many of us have a long hard road ahead of us to retain optimum health. That is where patience comes in. It’s about doing all of the right things and continuing to do them even when you don’t see the benefit straight away. I admit this is a tough one for me! Lastly, something that severely impedes your progress when making a recovery is forgetting to acknowledge your hard work when you have achieved something. It’s all too easy to be straight on to the next to next leg in your recovery, or the next goal that you want to get under your belt. But actually it’s very important to acknowledge the hard work and effort both physical and mental that you have expended getting to this point. So if possible try and do something positive to reinforce and send that message to yourself. As it will help you remain motivated and make the rest of your goals easier to achieve. Be stubborn with your goals and flexible with your methods is just amazing advice because everyone just tries one thing out and then gives up their goal completely instead of changing the method! Another great blog! Very positive. Thank you! Wonderful post with words of wisdom we all need to pay attention to. We often allow our anger or frustration to get in the way of getting well. I agree…positive attitude is the key. And another important thing is getting rid of self pity. It destroys all the hopes to get well. You just keep wondering why did this happen to you. But you have to move on….isn’t it? This is so on target. Recovery is getting well by accepting the illness and learning to work with it. This takes patience, skill and access to health care. Whatever suggestions given are all wonderful but what I find the best and difficult too is to keep patience which is really very important. Great work, congrats. The post provides such useful tips… Sometimes it might takes us longer to fully recover (That happened to me with my last Cold: it lasted like ten days: bad one). Awww, so lovely. Thank you for the shout-out (I just noticed: totally missed the caption)… :bear: <3 :bear: Many hugs!!!! Exactly right, Christy, if we don’t keep a positive attitude, getting well will be a lot tougher – if not impossible! I wouldn’t argue a single one of these. I believe that the key of healing is in our mind. The most of people when they are sick, they focusing on their illness but in fact, they need to change their focus on health .We should think about the things we want instead the things that we do not want. Excellent points, Christy. Agree with all of them. Excellent advice, Christy. No one likes to be ill, and we can take a long time to recover from some illnesses. Your advice regarding being stubborn with our goals is wonderful. With so many of us, patience goes out the window. We need to focus on our need to be well again and the means by which that can be achieved – no matter how long it takes. Flexibility in the methods of our recovery is also too often overlooked. As you say, there are many different services available out there. Thank you for such an informative and thought-provoking post, Christy!